If you’ve been a reader of this site for awhile, then there are at least three things you know about me: 1) I love horror 2) I’m a pretty big and pretty dedicated fan of Jeremiah Kipp’s work and 3) I am a fan of Edgar Allan Poe. At least, I’m pretty sure I’ve mentioned my love of Poe before (my memory is just the worst…). I started reading dear old Poe when I was 8 (not sure why my parents allowed that but hey, it gave me my first foray into horror lit and into the horror genre itself!) and “The Cask of Amontillado” was always my favorite. Something about being walled up for eternity just totally creeped me out (that 8 year old imagination probably came into wicked play there…). My friend, Jeremiah, has taken one of Poe’s short stories “Berenice” and turned into an deliciously creepy short film. 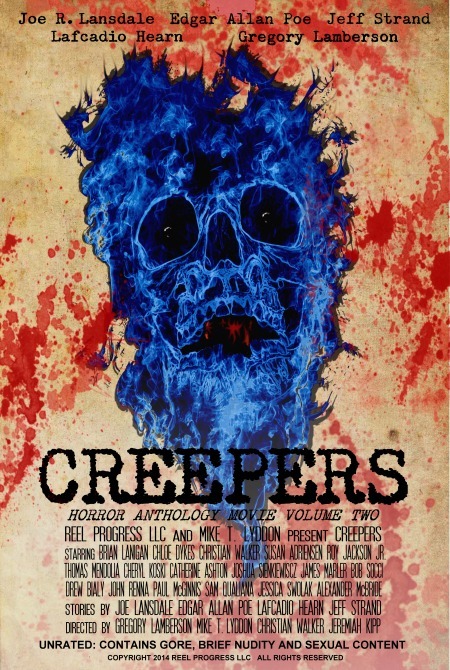 It’s his little piece of the upcoming horror anthology Creepers, debuting on Blu-ray and VOD on October 7. If you’re unfamiliar with the story, as I was (and thank goodness I didn’t read this one as a child, is all I gotta say), there once was a boy named Edward who had a lovely cousin named Berenice (names updated for our modern audience) who came to live with him and his parents. Edward (Thomas Mendolia) is a bit awkward and obsessive compulsive. He has to turn lamps on a certain number of times and tinkers with small mechanical parts at his desk, alone in his room. Social he is not. Then along comes Berenice (Cheryl Koski) who is everything Edward is not – sociable, graceful, roaming carelessly through life. Except there’s a catch. Isn’t there always? Berenice is ill, dreadfully ill, with a mysterious malaise that we, at best, know causes seizures. And then there’s Edward’s mother (Susan Adriensen), who while being a bit of a stiff actress, manages to be absolutely terrifying. I’ve no idea if she’s in love with her son or just extremely overprotective and overpowering but I would not cross that woman. Edward’s father (Bob Socci) is rather unassuming, although he too comes off as a bit stiff. Edward is eventually told that he must be the one to take care of Berenice as she worsens, which he seems to be fine with as he’s seemingly…charmed by her, shall we say? And from there, I’ll let you either watch the film or go hunt down the story because what happens next is at times gruesome and then creepy. Is the film good? You betcha. Thomas and Cheryl both embody their characters in such a way that it’s almost painful to watch – which in this particular story is a good thing. I’m far from being squeamish but there were a couple of scenes here that made me squirm just a bit (although it has been a rather long time since I’ve watched anything other than a tv show binge on Netflix…maybe that’s why…). And the ending? It’s not even the ending actually; it’s just the last final shot that got me. *shudders* Pure cinematic horror goodness right there. If you love Poe, if you’ve liked my reviews of Jeremiah’s other works, if you just like short horror films done well and if you like horror anthologies (cause I hear the other parts are pretty kickawesome as well! ), then check out “Berenice” and Creepers on October 7th! 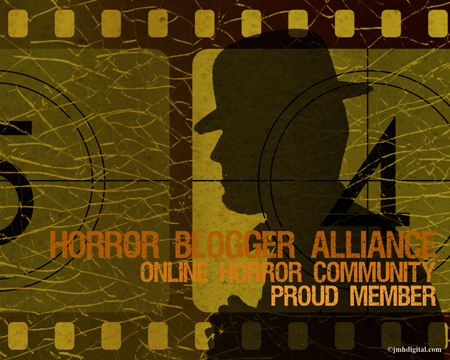 Posted on 2014.29.September, in American Cinema, American Indie, Horror, Lo-Budget, Short Shorts and tagged berenice, bob socci, cask of amontillado, cheryl koski, creepers, edgar allan poe, jeremiah kipp, poe is the man, susan adriensen, teeth, thomas mendolia. Bookmark the permalink. 6 Comments. It has to be a lot better than Jeepers Creepers. The only thing I liked about Jeepers Creepers was the song and the ending. Edgar Allan Poe is still the master of understated horror, so this is high praise.